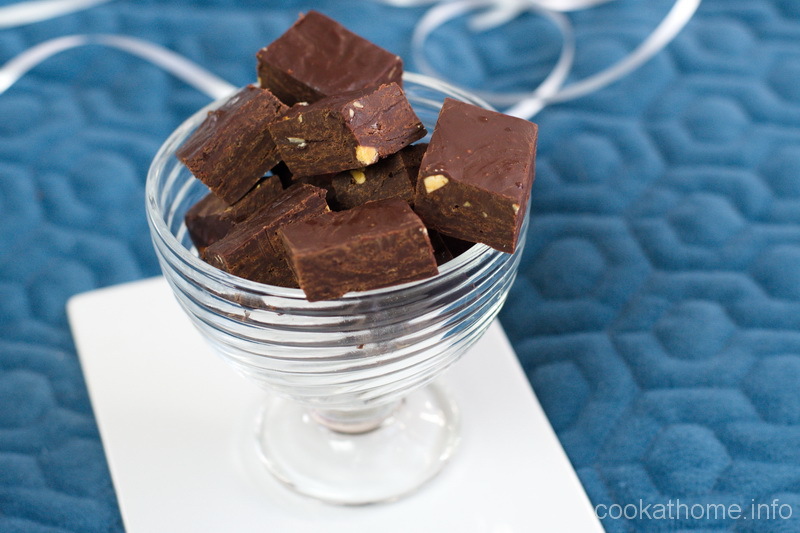 Simply add chocolate to condensed milk, chill, and you have an extremely awesome and easy fudge! And the dairy-free version is as good, if not better! Ahh fudge. It’s that treat that you have when you really want to treat yourself. And I love that it’s relatively expensive in the stores, so you don’t buy huge amounts. Because, lets face it, I’ll eat the whole amount in one go. But if you don’t want to buy fudge, but wanted to make it at home, and eat it yourself, or give it away as gifts, but didn’t want to have to deal with candy thermometers and the like? Well, here’s the recipe for you. You absolutely cannot screw this one up! And the end product? Can I just say that every time I’ve made this, the minimum pieces I’ve eaten is about 10! This is just sooo good! And if you are lactose intolerant, have no fear! Simply use dairy-free chocolate and sweetened condensed coconut milk and your tastebuds can also join the party. No one will ever tell the difference! 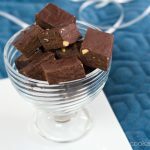 Of course, I have some other fudge recipes that you can try out as well – like this one based on coconut milk, a peanut butter fudge, or one that is solely sweetened by dates. But this is just simply easy fudge. And so yummy! The easiest fudge recipe ... ever! Melt chocolate and condensed milk together in either a double boiler or a bowl on top of boiling water or in the microwave. Once combined well, add vanilla. Pour into prepared pan and chill for at least 2-3 hours. You can add multiple things to this fudge - eg any type of dried fruit, nuts, rice krispies, etc. Very yummy and very more-ish!